Play free game Girl Dress Up on bestgames.pk. Girl Dress Up is a classic game on www.bestgames.pk in which you help a pretty girl dress up in a quiet evening. As the approach of night, stars glimmer in the sky. A beautiful girl is sitting on the branch of a big tree. She wears little clothes for some reason. That’s because she will go to take part in a dance part tonight. But she doesn’t know how to dress herself up though lots of clothes have been prepared. Only you can help our little girl. You may select appropriate handbags, boots, shoes, veils, earrings, necklaces, brooch, bangle, and purses for her. There are also many skirts and cheongsams in different colors besides her. The most important thing is how to make a perfect hairstyle for her. You can select a best one from eight hair styles, and then put some small decorations in her hair. Thus your work is completed. You can try it in many different matches. Just do it better. Help her now. 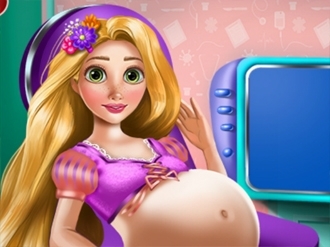 Take Rapunzel to see the doctor before having a beautiful baby girl! Discover all the steps and do a full check up with awesome hospital tools. In the doctor's room you'll find a thermometer, a stethoscope and even an ultrasound display that will help you see the baby and measure it. After you've made sure everything is well, help Rapunzel take her vitamins and then have fun with awesome baby tattoos! Princess Belle loves living in the French countryside. She enjoys the beautiful scenery and French cuisine! Belle will be going to a dinner party this evening but first she must get a makeover after spending her day outside. 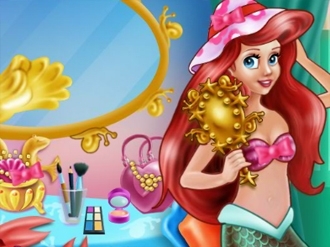 Apply Belle's makeup, choose her a hairstyle and a pretty dress!